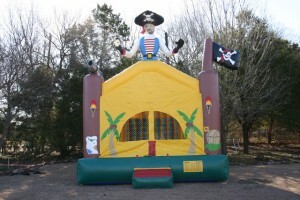 Inflatable Bounce House Rentals In Rockwall & Royse City, Texas! You set up the party...we'll bring the fun! Our commitment to you is to provide excellent customer service. You set up the party…We’ll bring the fun! 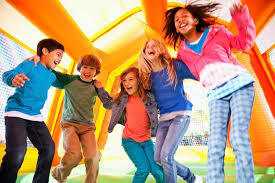 Browse our great selection of insured and inspected inflatable bounce houses, slides, and more. New Awesome Water Slides and Obstacle Courses Available! Don’t miss out! Reserve yours today for your summer party! [We will respond to reservation requests or messages received after hours on the next business day. Firehouse Bounce was founded by Firemen in July of 2008 to bring bounce house party rentals to families around the Dallas area. Founded in Wylie, TX, we relocated to Rockwall in 2013. In an effort to better serve our customers, we have recently redefined our delivery footprint. Our service areas are Rockwall, Royse City, Rowlett, Fate, Heath, Sachse, Wylie, Murphy, Garland (East of 635), Nevada, and Lavon. On a case by case basis, we may accept reservations outside of this footprint for a $75 delivery fee. Since its inception, Firehouse Bounce has built and maintained relationships with individual families, Churches, School Districts, Corporations and Municipalities. Over the years, we have come to think of them as family. We are in this business because we truly love to see the joy on your kids faces when we show up with a bounce house. Safety is our primary concern, therefore, our units are inspected by the state of Texas and we carry liability insurance. In addition, you can feel confident knowing that we are also safety certified through SIOTO, the organization that oversees Safety Operators Certifications. Furthermore, we clean our bounce houses regularly using a professional cleaning product. All of this means we are properly trained professionals providing safe, clean units for your children. Can bounce houses fly away? We do NOT set up on extremely windy days for safety reasons. We watch the weather closely. We use proper stakes or sand bags to keep the inflatable in place. We have our units inspected and insured yearly for safety. Can I rent an inflatable jump house for preteens and teens? Our own kids are teenagers and they love our bigger units. Try our Jungle, Sports, Race Car or Happy Caterpillar Combo! These inflatable bounce houses include a jumping area, ball hoop, climbing wall and slide all in the same Combo. This provides your kids with multiple activities to entertain themselves. For the most adventurous big kids, Firehouse Bounce also offers Inflatable Dry Slides and Inflatable Water Slides. These slides offer thrill seekers an opportunity to climb up high and enjoy the sensation of sliding down a huge slide! We also offer an super 65 foot Inflatable Obstacle Course and awesome Dunk Tank. If you plan an event without power, no problem. Generators are available for rent to power the units, so the party can go on! Do you have bounce house rental discounts? Firehouse Bounce was founded by Firemen, so we thought it would be fitting to offer special discounts to Firefighters/Paramedics/EMT’s, Law Enforcement, Churches, Military, PTA’s and 501 (c)(3) non-profit organizations. We have taken great care to price our rental rates in a way that represents a fair, affordable price. Our company offers discount rentals for large invoice events, so let us know if you need multiple units. We will do everything we can to work with you to offer you the best rental rates for your hard earned dollar. At Firehouse Bounce, it is our commitment to provide you with a outstanding bounce house rental at a fair price and while delivering a superior level of customer service. We welcome new customers to Firehouse Bounce all the time. If you live in the Rockwall, TX area and are ready to jump around in a bounce house, it is time for you to give us a call at 214.729.4991. Our bounce houses are ready for birthday parties, family events, corporate parties, and so much more. Whatever the occasion, Firehouse Bounce has the solution to your bounce house rental needs with a wide variety of inflatable bounce houses, Dry Slides, Combos, Water Slides, Obstacle Course, Dunk Tank and more. It’s our goal to provide you with the perfect rental to fit your needs, every time. Call us at 214.729.4991 to reserve your unit today. We appreciate you visiting our website and look forward to partnering with you to make your event a success! To become the Premiere Bounce House Rentals Provider to the individuals, families and communities by providing exceptional service and a superior customer experience at a fair price. 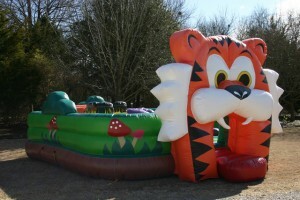 To entertain our clients with inflatable and water slide party rentals. Firehouse Bounce wants to become your bounce house rental provider of choice. To do so, we deliver quality products at an affordable price while delivering a superior client experience.